A good winter training programme tailored to your next seasons goals, lays the foundation for improvement and success. Your programme will integrate winter riding with, training on a turbo and important off the bike strength, core and flexibility training. You will learn how use your available time to achieve the best training effect. Agreement and understanding of your goal – During a introductory discussion your goal(s) will be identified. Then just as important the profile for your event will be considered against your existing cycling profile. This will mean looking at your cycling strengths and weakness and looking at how these can be worked on during those dark winter months. Most cyclists these days incorporate core, strength and flexibility exercises into their training programmes. Again these have to be specific to the targeted event. For instance, in time trialling there is a need to adapt your leg and glute muscles to deliver power when in a low aero position. Such off the bike programmes need to be progressive so you can make the desired improvements. For as little as 40 mins twice a week this is possible with the right exercises. Indoor trainers and static bikes like Wattbikes, can be an excellent way to supplement your winter training. Like other training though, you need to get this right to gain the maximum benefits from it your event. Simply putting in time or doing your favourite set each week or racing on will not achieve this. 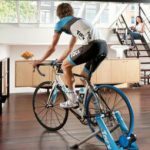 A progressive indoor programme can be integrated with your road riding a strength work. Training Plan – A training plan will be discussed and agreed with you that reflects your training time available, your events, current level of fitness, other commitments and key event dates. The plan will be progressive but will include sufficient recovery to ensure increases in fitness and performance are sustainable. The initial plan will cover 12 weeks and include a variety of sessions tailored towards your needs, using the assessment. Your long term well-being is of the utmost importance to us, which means we will ensure you have the foundation for long term enjoyment of your sport and maybe continue your journey with us into the future. Contact with Coach – You are not on your own, during the first 4 weeks, contact will be weekly via phone calls. Time will be taken to talk through key individual sessions, the overall plan and any events. There will be a focus on how you are feeling and are responding to the changes in your training. Making sure you are progressing your training efforts. After the first 4 weeks, contact will normally reduce to every 2 weeks by phone. It will remain available at other times through Training Peaks, where feedback and clarification should be available on a day to day basis as required. You will get the support you need to learn how to train effectively. At the end of the winter programme you should have laid the foundations for increasing your intensity in the build period towards your event.